This tutorial by user kunst1080 shows us how to get an FreeBSD automatic installation set up using bsdinstall. *Note that this is a translated article. Now, we take a look at how to install to ZFS using bsdinstall. 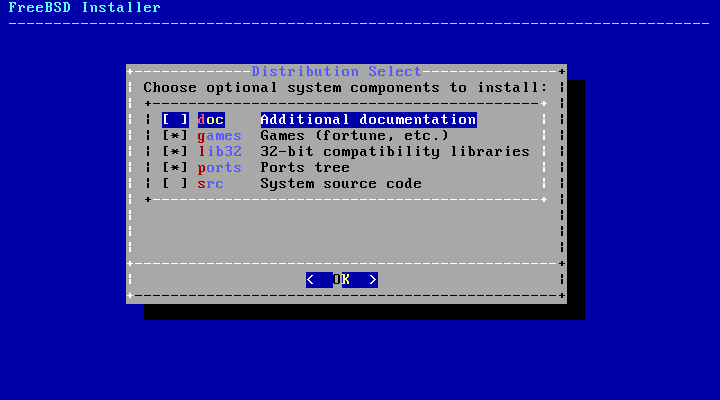 As it is described in the manual, to the first half (PREAMBLE), if describe the environment variable “ZFSBOOT_DISKS” instead of “PARTITIONS”, ZFS allows you to install to. However, care must be taken of the following two points. If you want to automatically install, set environment variable “nonInteractive”. It needs to be export environment variables “ZFSBOOT_DISKS” and “nonInteractive”. In particular, care must be taken with regard to the second point. In the above configuration, ZFS partition has been created by default setting. Set environment variable “ZFSBOOT_DATASETS”, it seems that you can create a ZFS layout freely. For now, we will try to split /, /tmp, /usr, /var. In the above configuration, ZFS partition has been created with the following settings. ?At the time of automatic installation ZFS more information on setting, I think that it is better to check source code of the zfsboot (freebsd/zfsboot at master · freebsd/freebsd · GitHub).